OK, OK, while it’s true that I’m prone to occasional hyperbole, this espuma really is one of the most delicious concoctions on the planet. 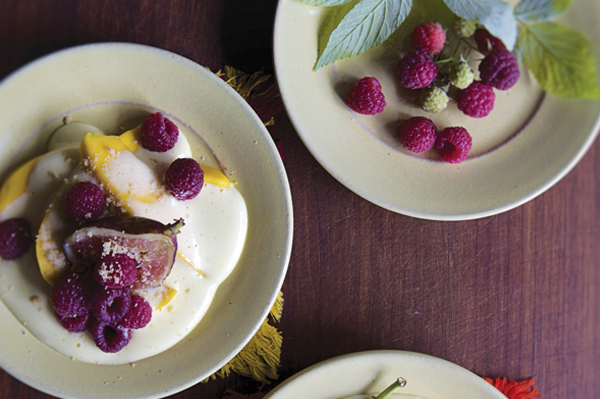 Owing its origins to Italian zabaglione (or French sabayon), this espuma uses tequila and lime to replace wine as you whisk egg yolks and sugar to a luscious froth over simmering water. My note to you: to get the best consistency, whisk the mixture continuously—don’t stop!—and make sure to scrape the sides of the bowl.